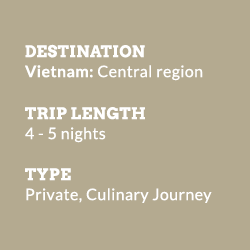 Central Vietnam is incredibly diverse and known for its historical sights, long beaches, picturesque villages and outstanding imperial cuisine. 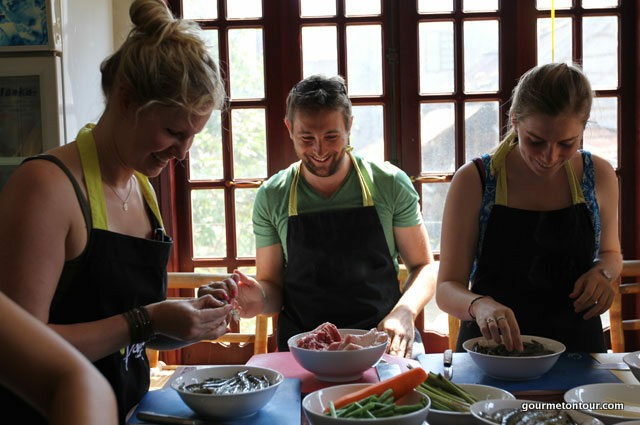 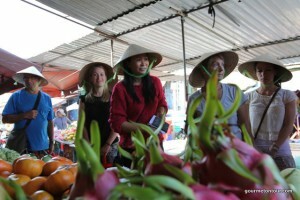 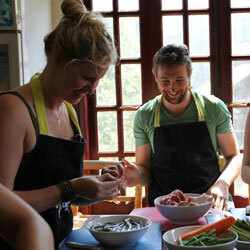 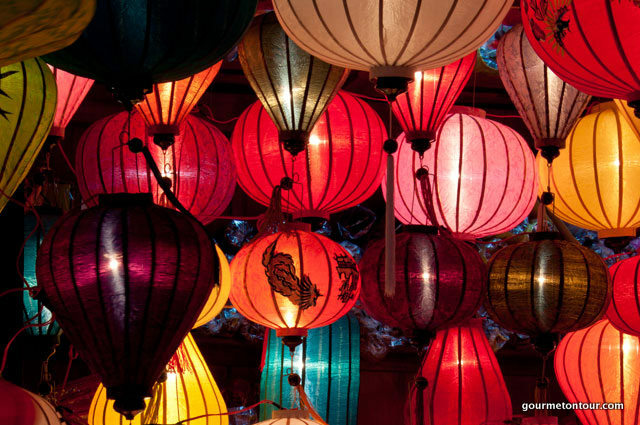 Visit local markets with your culinary expert in Hoi An. 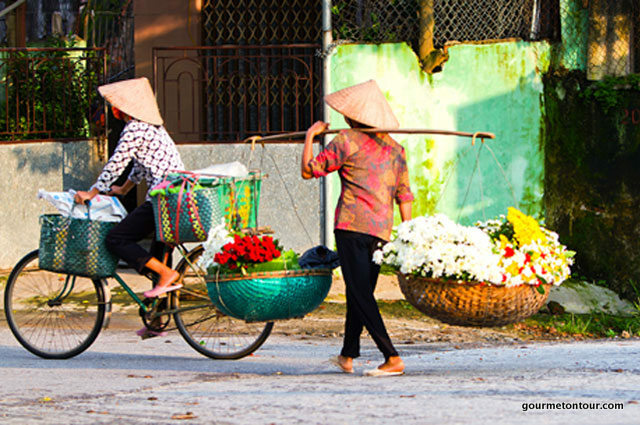 Enjoy tantalizing sights and flavours, as you zigzag through picturesque villages on foot or by bicycle before cooking a delicious feast. 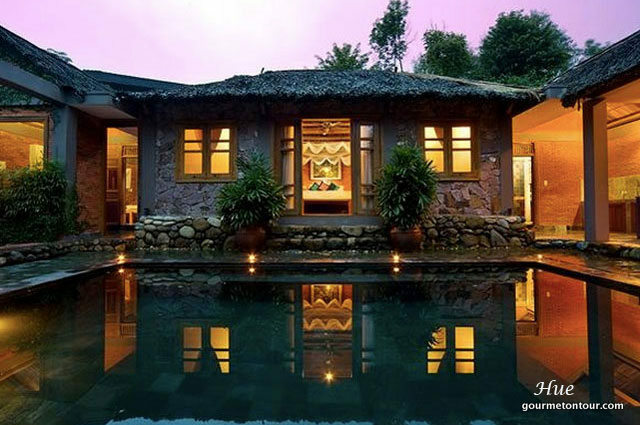 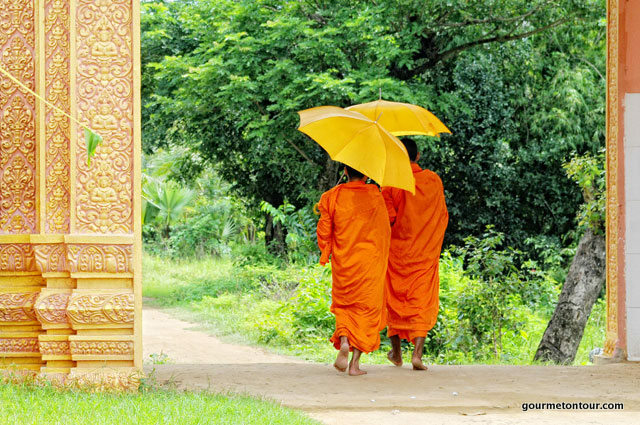 Take the scenic drive to imperial Hue where you share a meal with monks in and learn about ancient recipes. 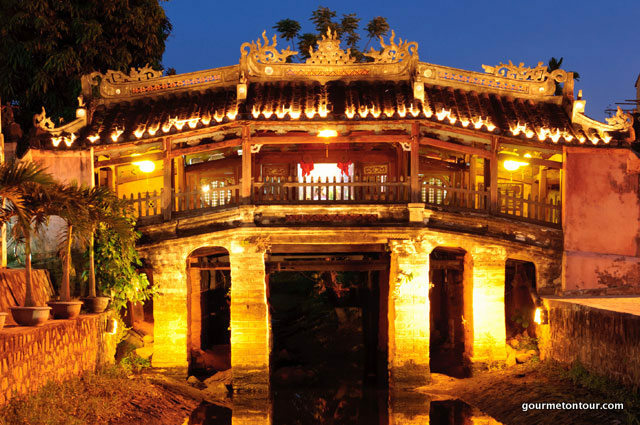 UNESCO-listed Hoi An Ancient Town is an exceptional well-preserved trading port dating from 15th to 19th century. An atmospheric town and culinary Mecca with an incredible array of delicious eateries, lounges and vibrant markets and tea houses. 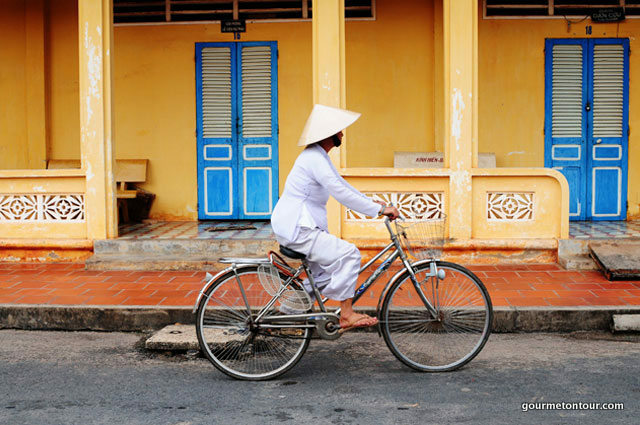 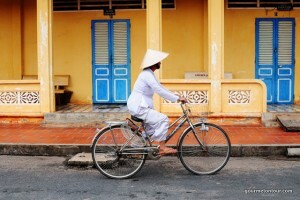 Surrounded endless green rice fields and windswept beaches makes Hoi An one of the most enticing villages in SE Asia to explore on foot, cycle or motor bike. 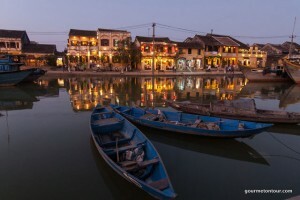 Set on the Perfume river, The Royal city is home to palaces and pagodas, tombs and temples, culture and imperial cuisine. 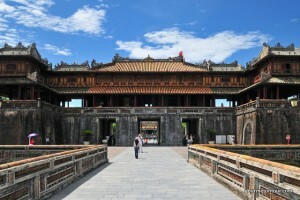 A UNESCO World Heritage site, this capital of the Nguyen emperors still resonates with the glories of imperial Vietnam and mostly known for its historic values. If you are interested in culture and royal splendour, Hue complements your stay in laid back Hoi An perfectly. Hue’s cuisine is elegant, light and noble, different from other regions’ of Vietnam. 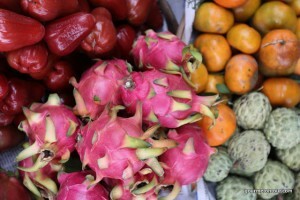 Spices, especially chilli, play an important role in Hue’s cooking and cuisine decorating art. 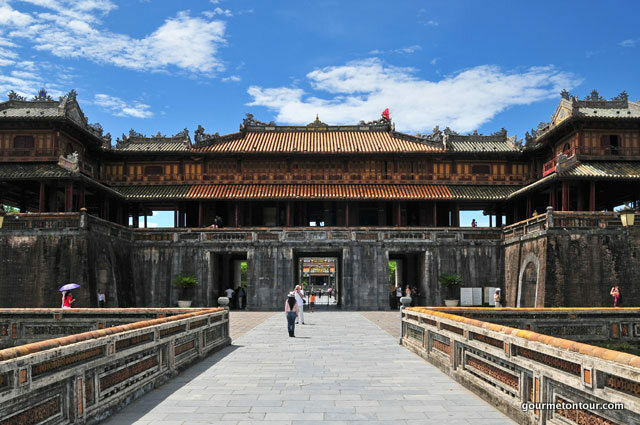 As you are trying Hue dishes today, remember that these were mostly served to the Emperor only in the past. 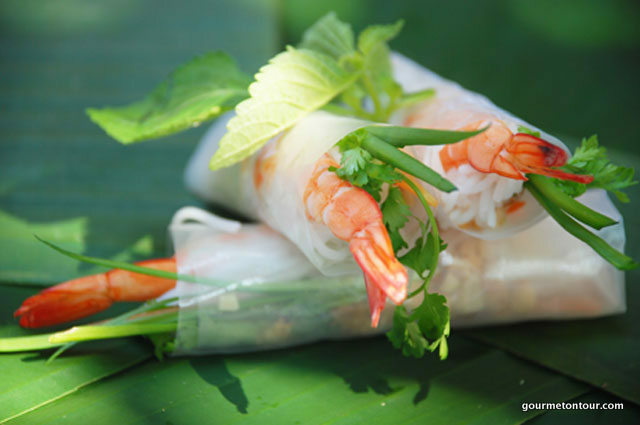 One of the dishes that you cannot miss in Hue is “con hen” – rice with baby clams- a very simple and low-priced specialty. A bowl of “com hen” will bring you the sweet-smelling flavor of rice and herbs, mixed with the buttery, sour, bitter taste of spices, grease, baby clams. 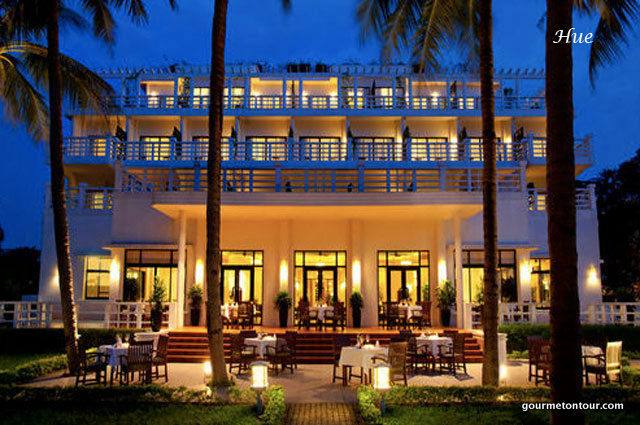 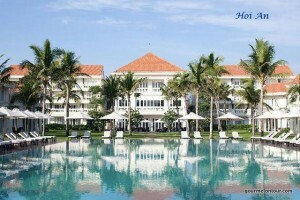 Upgrade to The Nam Hai Resort & Spa***** upon request. Private return airport transfers from Danang to hotel and transportation on tour. 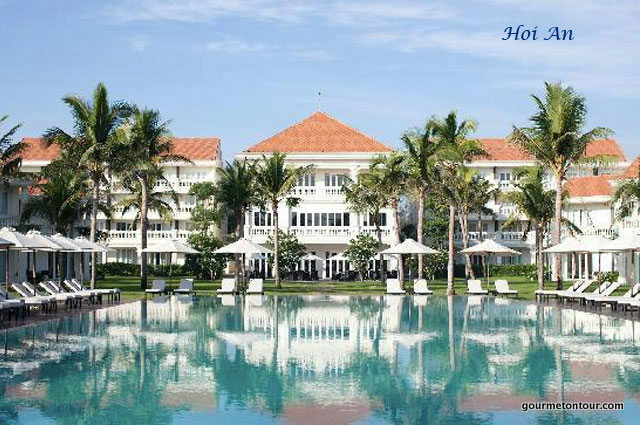 Private airport transfers from Danang or Hue to hotel and transportation between Danang & Hue and on tour. 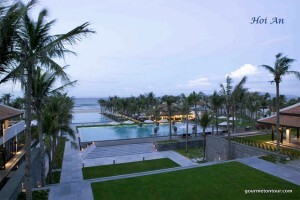 Fly to Danang or Hue. We arrange all domestic transfers.